“Others just ridiculed me outrightly.” A protester at the American embassy: Others just ridiculed me outright. “…but the incidence rather than subdue you, (sic) should instead spur you to greater hights (heights).” The human angle: incident (not incidence). ‘Instead’ has no function here. “Gather every members of your family.” Either every member of your family or all members…. My dear reader, please note that ‘banter’ is uncountable. “Eagles confront Malawians under scorching sun” This way: in (not under) the scorching sun. ‘”In times past, the media might even have queried the double standards.” Professionalism: double standard. “Idris who was on a one-day working visit to Kano to round up (off) his familiarization tour of police formations in the country….” I can understand the mix-up because of IGP’s involvement! “…that effort at sensitizing Nigerians on (to) the essence of the Vision 2020 is well in an advanced stage.” What is the definition of the cliché ‘advanced stage’? Any form of public communication— gestural, written or verbal—that is subject to individualistic interpretations is not efficient and effective. 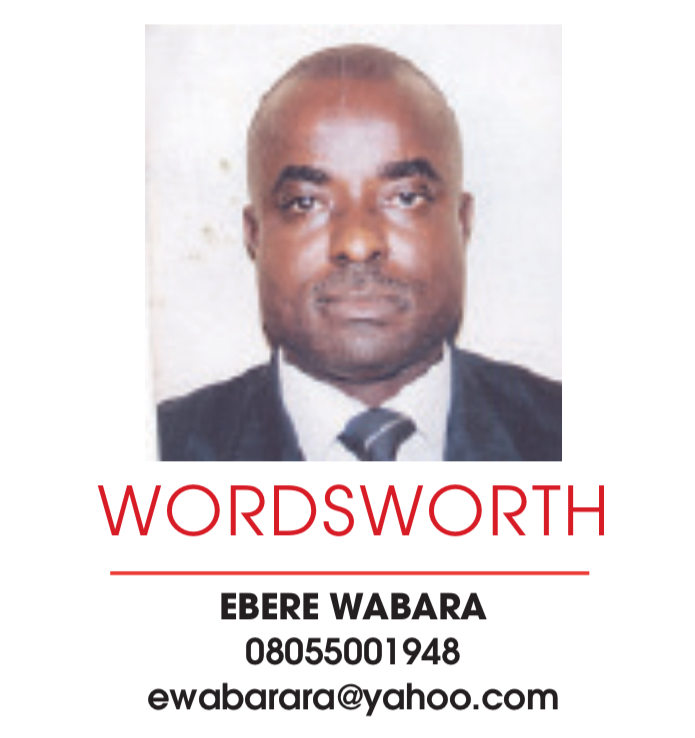 “ACF urges Boko Haram to sheath swords” Truth is a burden: sheathe swords. “Heartland, Enyimba reignites rivalry” Midweek Sports: why the discord? “Muslims in all continents of the world would today celebrate Id el Mauloud.” My comment: on all continents. “We seize today’s occasion of….” For Americanism and all its informalities, this is acceptable. But, in formal (standard) British entry—which I strongly advocate—you take or use an occasion/ opportunity. ‘Seize’ has an inherent, elemental force (connotatively and denotatively). “The herbalist allegedly demanded for his wife’s eyeball….” Delete ‘for’ in pursuit of lexical excellence. “…who is currently representing Epe Federal Constituency in the National Assembly….” Who can tell me what ‘currently’ is doing here? “Nigerian women are not mediocre” Our women are not mediocrities or mediocrists. Put differently, Nigerian women are not mediocre people (adjectival parlance). “Police contributes (contribute) to sexual violence in Nigeria, says Olufemi” “I doff my hat for the resilience of those who staked their necks to confront the excesses of the military.” Dogma at the barricades: I doff my hat to (not for) newspaper contributors, the occasional Freudian slips notwithstanding. You can also take off your hat…. “The suspects are walking free in the society, enjoying their loots and attracting more political patronages.” ‘Loot’ is uncountable. “…in the guise of delivering same (the same) as bribe to the Commission’s officers to ‘kill’ such cases under investigation.” ‘Same’, in formal—and even most informal—contexts, cannot stand alone.